Type A Corner Protection Foam Guard, Black/Yellow, Self-adhesive, 39-3/8" x 1-9/16". Net Weight 1 lb. Ideal for Child-proofing a child's room or play space and preventing injury around the house in Attics, Basements, Garages, Patios, Porches and from overhead cabinets, shelves or sharp corners. Aging-resistant. Indoor/Outdoor use! Anti-Skid Floor Tape, UL1994-listed, UL410-listed for floor use, photoluminescent yellow, gritty vinyl surface, self-adhesive, 2" wide by 79 feet. IBC/IFC-compliant, listed for activation by LED and Fluorescent Lighting. Type 3D - Protective Corner, Black, Self-adhesive, 1-7/8" x 1-7/8" x 1-1/2". Net Weight 1.5 oz. 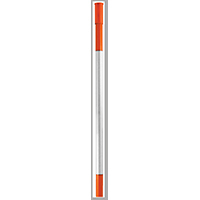 Ideal for pointed corners on Filing Cabinets, A/C units, Shelves and other sharp corners. Aging resistant. Indoor/Outdoor use! Type C THICKER, Flat Surface Protection Foam Guard, Black/Yellow, Self-adhesive, 39-3/8" x 1-9/16". Net Weight 1 lb. 2 oz. Ideal for Child-proofing children's room or play spaces and preventing injury around the house in Attics, Basements, Garages, Patios, Porches and other hard surfaces. Aging-resistant. Indoor/Outdoor use! Type B THICK, I-Beam Edge Protection Foam Guard, Black/Yellow, NON-adhesive, Slide-on, 39-3/8" x 1-9/16". Net Weight 1 lb. 5 oz. Ideal for use on I-beams or other sharp edges around the house or work-place. Aging resistant. Indoor/Outdoor use! 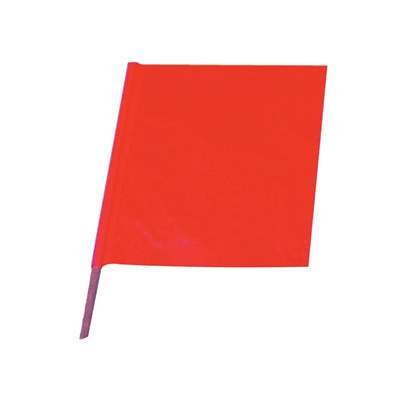 ORANGE SAFETY DRIVEWAY MARKER, FIBERGLASS, 72 IN. 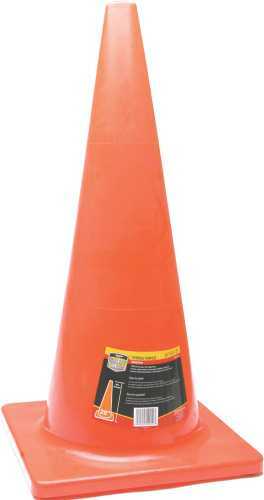 ORANGE SAFETY DRIVEWAY MARKER, FIBERGLASS, 72 IN. 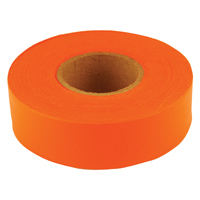 Anti-Skid Floor Tape, UL1994-listed, UL410-listed for floor use, photoluminescent yellow, gritty vinyl surface, self-adhesive, 2" wide by 52 feet. IBC/IFC-compliant, listed for activation by LED and Fluorescent Lighting. Type C THICKER, BLACK Flat Surface Protection Foam Guard, Self-adhesive, 39-3/8" x 1-9/16". Net Weight 1 lb. 2 oz. Ideal for preventing damage to walls in Attics, Basements, Garages, Workshops or Industrial areas. Aging resistant. Indoor/Outdoor use! Type H+ THICK/WIDE, Corner Protection Foam Guard, Black/Yellow, Self-adhesive, 39-3/8" x 2-7/16" x 2-7/16". Ideal for use in Garages, Carports and on Concrete Columns to prevent damage to car doors and walls. Aging resistant. Indoor/Outdoor use! Type R2 BIGGER, Pipe Protection Foam Guard, Black/Yellow, Self-adhesive, 39-3/8" x 2-7/8" x 1-1/2". Net Weight 1.5 lbs. Aging resistant, Foam Temperature Resistance: -31 degrees F to 176 degrees F. Adhesive Temperature Resistance: -40 degrees F to 212 degrees F.
Type H THICK, Corner Protection Foam Guard, Black/Yellow, Self-adhesive, 39-3/8" X 1-3/4" X 1-3/4". Ideal for use around the house in Attics, Basements, Garages, Patios, Porches and on overhead Cabinets/Shelving. Aging resistant. Indoor/Outdoor use! Type E Corner Protection Foam Guard, Black/Yellow, Self-adhesive, 39-3/8" x 1" x 1". Net Weight 9 oz. Ideal for Child-proofing a Child's play area or preventing injury around the house from overhead Cabinets/Shelves or other sharp corners. Aging resistant. Indoor/Outdoor use! Type A Corner Protection Foam Guard, Black/Photoluminescent, Self-adhesive, 39-3/8" x 1-9/16". Net Weight 1 lb. Soft yellowish during the day, lights-up with a yellow glow in the dark. Ideal for Child-proofing children's room or play spaces and preventing injury around the house in Attics, Basements, Garages, Patios, Porches and from overhead cabinets, shelves or sharp corners. Indoor use only! 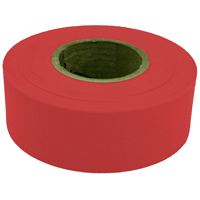 Type A Corner Protection Foam Guard, Red/Photoluminescent, Self-adhesive, 39-3/8" x 1-9/16". Net Weight 1 lb. High-visibility red/yellow stripping during the day, lights-up with a yellow glow in the dark. Ideal for Child-proofing children's room or play spaces and preventing injury around the house in Attics, Basements, Garages, Patios, Porches and from overhead cabinets, shelves or sharp corners. Indoor use only! Type A Corner Protection Foam Guard, Black-Fluorescent/Photoluminescent, Self-adhesive, 39-3/8" x 1-9/16". Net Weight 1 lb. Very bright alerting daylight fluorescence combined with a darkness photoluminescent glow/contrasting black. Ideal for Child-proofing children's room or play spaces and preventing injury around the house in Attics, Basements, Garages, Patios, Porches and from overhead cabinets, shelves or sharp corners. Indoor use only! 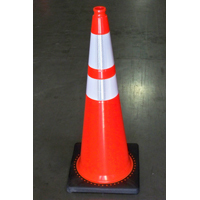 Sperian - 28" (71.12 cm) orange high visibility traffic safety cone. Perfect for recreational use or commercial use. Wide body design with a rugged base. Remains moderately flexible in cold weather, won't crack or warp. Slip resistant pads quickly cover spills and alert pedestrians. Includes pad dispenser, 25 large pads, and fasteners. Each yellow pad is coded wth universal caution symbol and "Caution Wet Floor" message in English and Spanish. Station is constructed of corrugated plastic and mounts on flat surface, easily dispensing medium or large pads. Pads are constructed of melt-blown polypropylene for added strength and absorbency. Large pad absorbs up to 16 oz. (0.5 kg) of fluid.